THNK DEVELOPMENT, a subsidiary of FrontSeat Group recently created a roll-out and launched it for VKB, “a South African agricultural enterprise with the unique vision to focus on alliances with industry related stakeholders. These alliances have developed into the dynamic utilisation of a wide-range of agricultural value chain solutions”. THNK marked VKB on their large silo’s for all to see. 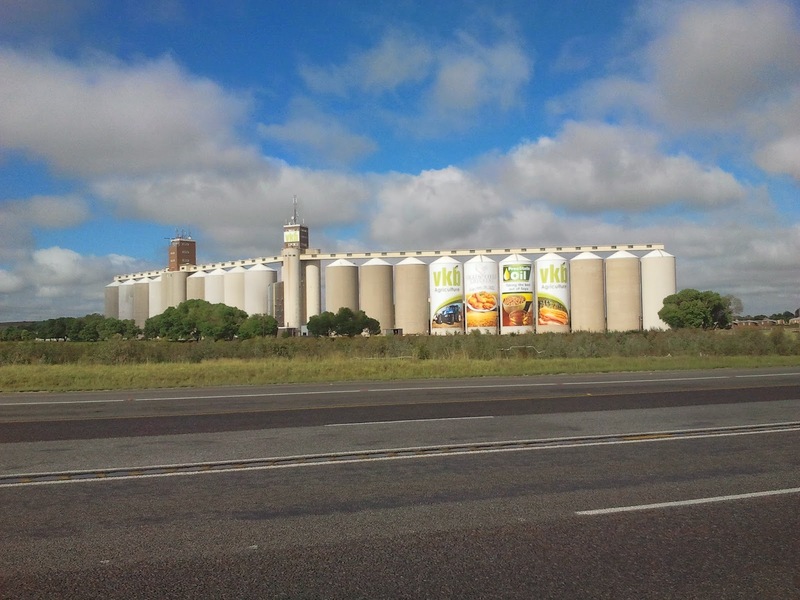 The creativity and concept/idea of placing large format print roll-outs on the cylinder silo’s, creates a large advertising space, way bigger than that of a billboard, which is smart and a great idea for clients to create brand exposure. The hard work which went into placing these roll outs on each silo, is also quite astounding. The brand exposure can be spotted far across the main road, and indicates just how effective this form of outdoor media is to the public. I mean there is no way you can possibly miss these Silo’s!! The workers on site worked very hard to place these roll outs, exposed to great heights and bravely manoeuvred so that the creation of the entire structure would be greatly appreciated. And at night when the VKB logo shines gracefully for all to see!! THIS IS TRULY MAGNIFICENT WORK. Krugersdorp Taxi Rank Vehicle Branding differences.